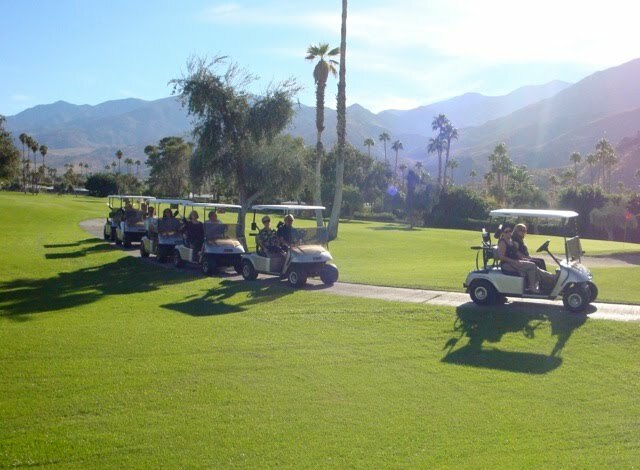 Our social committee, Bruce Moccia and Loretta Wuller, organized a special event on Friday, October 29, 2010….the “Take a Ride on the Wild Side” golf cart tour. 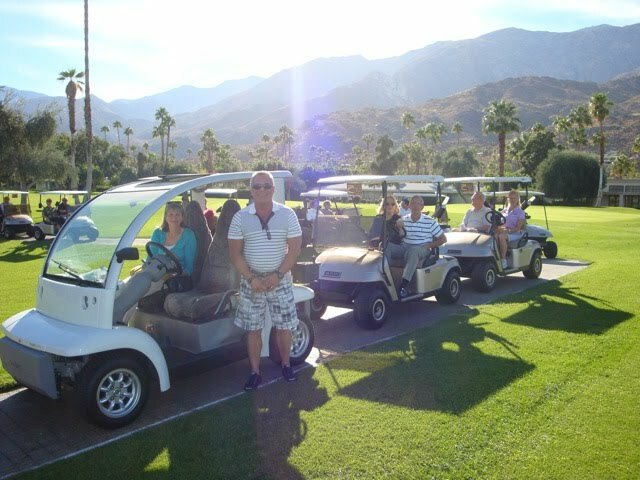 ICNO members had the opportunity to tour the entire course a day before it opened for the season. 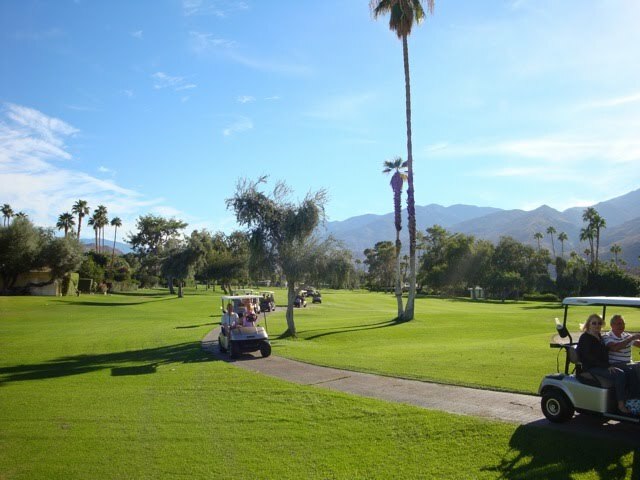 Wow…the green course, the beautiful weather, and getting to see all the homes from the golf course point of view was a real treat. 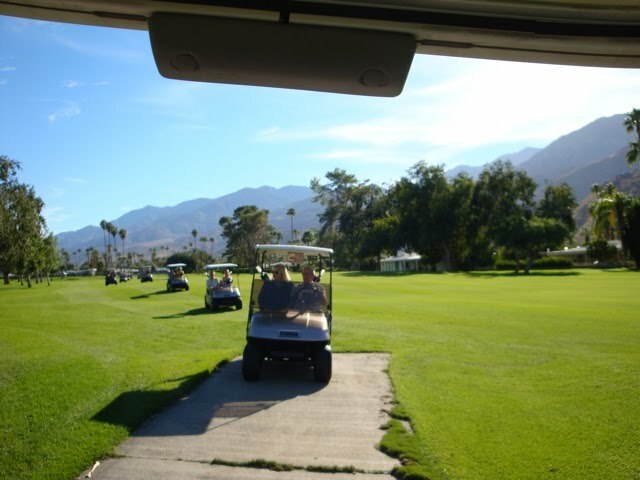 Over 30 ICNO members participated and a few more joined the parade of golf carts as we passed their homes. 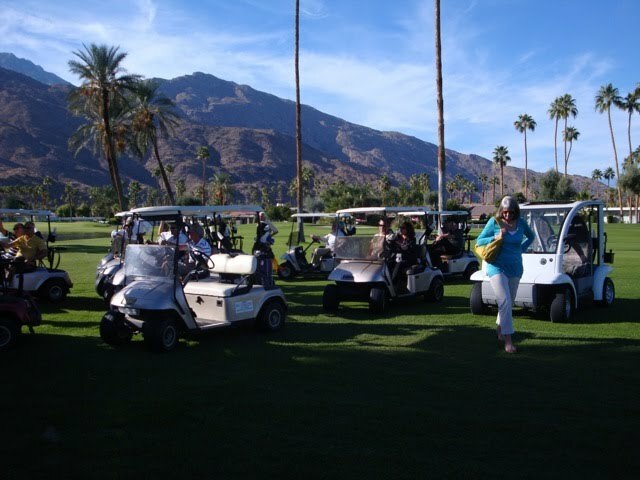 Steve Adams, general manager of Indians Canyons Golf Resort, acted as our tour guide and provided all the golf carts for our use. 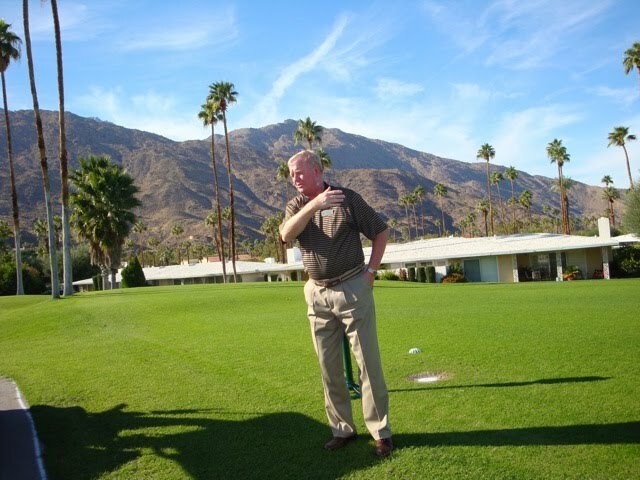 An interesting tidbit which Steve shared with us is that it costs over $1.2 million dollars a year to maintain the golf course ! After the 30 minute tour, members relaxed on the outdoor patio at Leons and enjoyed a cocktail (OR TWO ! )….and we had a lovely afternoon chat. Thanks to Linda Ward and Lexie Martone for taking pictures of this fun event. Also, a special thanks to Jane Decker, from the club, for all her assistance in coordinating this fun afternoon for ICNO members.